This site contains some pages created a few years ago. Some links posted may not be available at this time. Thank the Lord for J.B.H.
. The "Home of Rock 'n' Roll Music Roots"
or something else. Our purpose, for over 20 years, is to give recognition to the pioneers of this music genre. 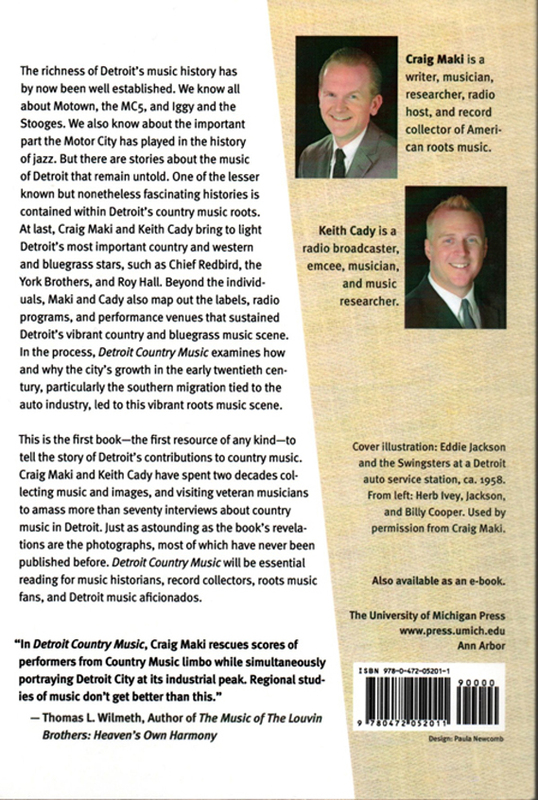 Rockabilly Hall of Fame® (1997). news worthy links whenever possible. We were put on this earth to love, help and pray for each other. 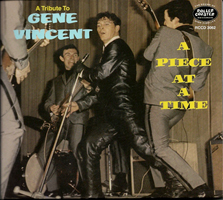 For other current web articles related to "rockabilly": CLICK HERE. You'll never know what you'll find. Updated frequently. çhttp://www.rockabillyhall.com/LauraLeePerkins.html">Laura Lee Perkins R.I.P., Friday April 6, 2018 . Sad News from Glen Glenn ... Guitarist Gary Lambert (April 3, 1935 - January 11, 2018) peaceful passed away, losing his battle with cancer. Link Wray in R&R Hall of Fame? Billy Burnette releases "Crazy Like Me"
Jerry Lee Lewis talks. 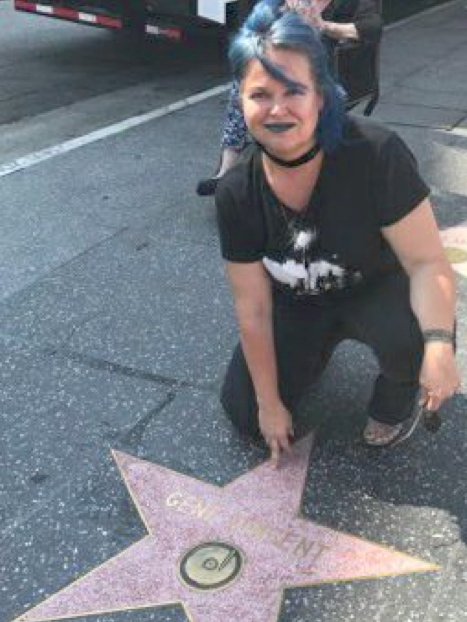 "Great Wild Man"
Brandi visits her uncle's star on Hollywood's Walk of Fame. She is daughter of Gene's younger sister, Tina Craddock. The RHOF has deactivated the "Bob Timmers" Face Book page, as of June 18, 2017. WANDA JACKSON SET TO PERFORM ON THE GRAND OLE OPRY THIS WEEKEND. One of musics most enduring and beloved recording artists will be returning to a familiar stage this weekend, as Wanda Jackson makes a rare appearance on the Grand Ole Opry this Saturday, June 17, 2017. Wendell Goodman R.I.P. (Wanda Jackson's husband). Johnny Cash's daughters - Cindy, Kathy, Rosanne and Tara — are all stepping up to tell their stories. The women will be hosting a program, in coordination with the Country Music Hall of Fame, called "Becoming Our Father: Johnny Cash's Daughters in Conversation" to answer the hard-hitting questions regarding their childhood and personal memories they created with their father. 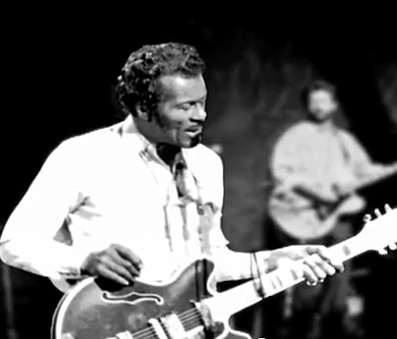 Another Chuck Berry song from the upcoming album. The song is dedicated to Berry's wife Themetta Suggs. What ever happened to Johnny's brother, Tommy Cash? Chuck Berry 2017 Album WILL be released. Posted Dec. 14, 2016 - The Beale Street Memphis New Year's Eve show will launch Lewis into what promises to be a busy early 2017. On Jan. 6, Lewis will return to his native Louisiana for a show at the Golden Nugget at Lake Charles, and he'll play the Mid-South again Feb. 4 at Sam's Town in Tunica. Lewis will also be featured at the Stagecoach Festival in late April in Indio, California. Lewis manager, Greg Ericson, also confirms Lewis is "looking to go back into the studio" in the coming year. Lewis' last studio album, "Rock & Roll Time," came out in 2014. The Life of a Song, "Not Fade Away"
Chuck Berry called "first rock and roll guitar hero"
60+ years ago (11/14/1956 to be exact) Jerry Lee Lewis cut one of his first tracks, including his debut (record) single "Crazy Arms," for Sun Records in Memphis. Engineer Jack Clement recorded Lewis' rendition of Ray Price's "Crazy Arms" and his own composition "End of the Road". Mack Allen Smith's "Rockabilly Addict"
Scotty Moore Venues, large list of venues Scotty performed in with Elvis, Bill and eventually DJ and the Jordanaires. Got 6+ Minutes to Spare? 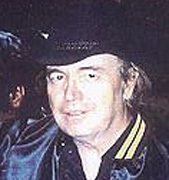 Johnny Cash guitarist, Bob Wootton R.I.P. There have been many articles posted on-line regarding Chuck Berry's passing. Click here to access them. Jerry was born on July 31st 1935 in Oklahoma and his interest in music surfaced at the age of nine years. He played violin, experimented with several other musical instruments and bought his first guitar in 1949. In 1952 he formed the duo Johnny & Jerry and soon after formed his first band, Jerry Mercer & The Roving Cowboys. In March 1956, Jerry meet Narvel Felts who became a regular member of the band by the beginning of July 1956. As tribute to Jerry, here are Narvel's own words as written to Dominique "Imperial" ANGLARES: "I'm thanksful Jerry Mercer hired me, which rescued me from chopping and picking cotton by hand in the fields around Powe and Bernie, Missouri. It is ironic that your package come on jan 10th as I was planning to attend Jerry Mercer's funeral the next day. Your words about Radio Rockabillies here mean a lot to me, they would have meant a lot to him." Billy Poore has passed away from Parkinsons (July 23, 2016). We have a page on him) posted 2004. Scotty Moore, "Rest in Peace"
Prayer is one of the best gifts we receive. There is no cost but a lot of rewards. Let's continue to pray for one another. God bless and have a nice day. "Father, I ask you to bless my friends, relatives and Face Book buddies reading this right now. Show them a new revelation of your love and power. I ask you to minister to their spirit at this very moment. Where there is pain, give them your peace and mercy. Where there is self-doubt, release a renewed confidence through your grace."